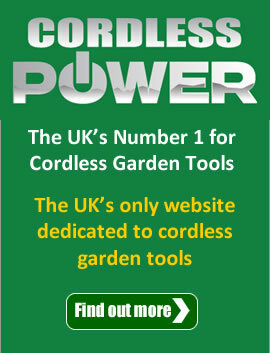 If you want a perfect lawn but don’t want to break the bank then you can sow your own! This is called seeding a lawn, and there is really only one way to do it successfully. Follow our handy guide and you should see excellent results in no time at all. The first thing to consider when sowing seeds is that they need to germinate. I am sure we don’t need to give you a science lesson here but you might be interested to know that to germinate seeds you need to provide the ideal conditions. And the ideal conditions for growing grass seeds are warm soil, damp from rain, and with no competition from weeds for growth. So the ideal time that these conditions are at their best is late summer and early autumn. In fact, September is generally thought to be the best month the get this type of project off the ground. Grass seeds can take around 14 days to germinate but this depends on all kinds of factors, such as weather conditions and the type of grass seed you are sowing. Longer, meadow grass will take longer. If the weather is warm and damp the seeds may take less time but if weather conditions are dry and cold it may take even longer. If you take a bit of care when first seeding your lawn you will see better results than if you used turf, and you will save a fair bit of money too. Generally, people don’t choose this option to save money, they choose it because if done properly you can achieve a much healthier, robust lawn than if you used turf. Turfing your lawn can be a bit hit and miss, and an expensive thing to pay for if it doesn’t take well. You also need to be careful where you buy it from. You can get a wide variety of seeds to match your garden conditions and needs. For example you may only want your lawn to be ornamental or you may be sowing a football pitch – therefore you will want a more robust type of seed. If you buy seeds and the weather conditions are not good enough to get started, you can store the seeds until the weather picks up, however if you buy turf it may require laying within 24 hours. As you are probably aware, you get what you pay for. So if you choose a product that is considerably cheaper than the branded products you may not be getting the bargain you think you are, and you may end up with more weeds than grass. So you’ve sourced a supplier for your grass seed and now you need to prepare your soil! Read on for a step by step guide. And remember Youtube can be a wonderful source of videos and help, make sure you are following the advice of an expert though! Get rid of weeds/stones. A garden sieve will help get rid of the stones, beware though, this can be a painstaking job. Very worthwhile though. Use weedkiller if needed, but not a residual one as it will kill important nutrients in the soil that your grass seeds will need to grow. For sandy soil dig in some very well rotted manure or other organic matter. If it is not well rotted you may find the soil surface becomes uneven – and that’s the last thing you want for a new lawn! Now you are going to want to get the surface as flat as possible, so treading several times, raking, treading and so on, so it is flat as you can possible make it. Once you have firmed it by treading on it, rake it again in different directions. Add general purpose fertilizer, using a rake. We find it is best to divide your lawn into small square sections, this makes it less likely to leave patches of unseeded areas. Divide your seeds and sow the first half over the whole area working in rows length ways. Take your second half and sow width ways. This should eliminate any bare patches. If you have quite a large area you may wish to use a seed distributor. When you have sown all the seed you will need to rake over lightly so the seeds get a light covering of soil. If the weather remains dry over the next 2 or 3 days, water gently with a light sprinkler. If you don’t get any rain, continue to gently water as necessary. Wait till the grass has grown 2-3 inches and then using a garden roller gently firm the soil. If you don’t have a garden roller or it is a very small area, treading it down will be fine. 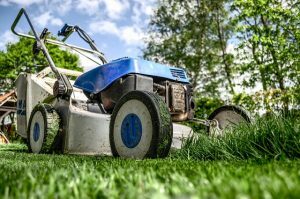 A couple of days later you can cut the grass by about a third, at this stage it is important that the blades on your lawn mower are as sharp as possible. Try to leave the lawn “to settle” in the first growing season, if you have pets and children this might be hard but try to minimise its use as much as possible. By the time it gets to Spring your lawn should be nicely established but will still require feeding. If you think birds are going to be a problem you can cover your newly seeded lawn with a horticultural fleece or net which should work to keep birds away and also improve germination and growing conditions. Coarse grasses and weeds may pop up and these are best removed by hand. You should wait a full 6 months at least before using weedkillers. We hope you found this blog useful, if you’re thinking of growing a lawn from seed, now is the time to start! Good luck!